19-23 March 2018, Maputo, Mozambique – The Region of Mozambique hosted for the first time the African Continental Assembly, with all the provincial and regional leaders and treasurers in attendance. 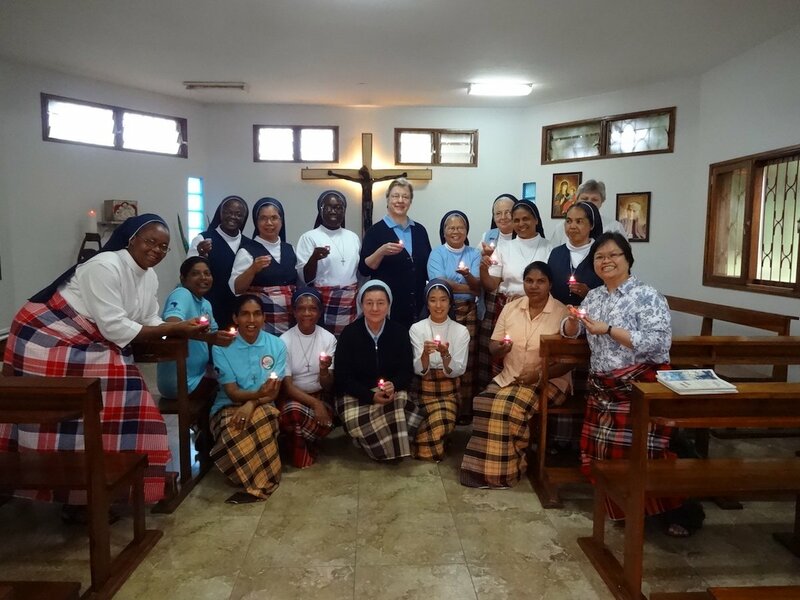 From the Generalate, they were joined by Sr. Maria Theresia Hörnemann, Congregational Leader, and Sr. Marides Santos, Congregational Communication Coordinator. Fr. Joseph Kallanchira attended also being the SVD AFRAM Zonal Coordinator. The theme for this assembly was “Deepening the 14th General Chapter Congregational Directions, Promoting Communion with Others”. Resource persons were invited to share in order to help the participants reflect on the theme. Fr. Joseph Kallanchira talked about “Communion in Diversity of Religions and Cultures”. Sr. Mercy Benson presented about Interculturality. Fr. Laurensius Lulliyan Huller SVD shared about “Communion with Others, Collaboration with Others for Mission”. Sr. Marides talked about “Communication in view of the Congregational Directions: Information and Communication Technology for Development”. The 5-day assembly was facilitated by the African Continental Coordinating Team – Sr. Belinda Delos Reyes (Chairperson), Sr. Ewa Piegdon (Vice-chairperson) and Sr. Antonia Cassuata (member). Aside from the talks, important financial and formation matters were also discussed; decisions were made accordingly. There was an evening when the participants joined the SVD Regional House Community for Holy Mass and supper. A day was also spent for outing, visiting some places around Maputo. The Assembly closed with a meaningful celebration of the Eucharist where each Sister received a lighted candle and was sent out anew to the African mission.